It was really hard for me to enjoy this album and several attempts took place before I was ready to say:well this is very solid record. The most exciting thing about the album is that it contains the elements that were later used on more notable Rush albums. There's a bit of 2112, A Farewell To Kings and obviously Hemispheres. Of course three first songs are nowhere near progressive rock but from thrilling Bastille Day to mellow Lakeside Park they're just good for the start. The Necromancer is a 3-part saga that includes some typical Lifeson guitar style. From moody a bit anxious melodies to nearly heavy metal solos. I think it's a little masterpiece even if some parts of the song sound like a total improvisation. The Fountain Of Lamneth another epic, this time 20 minutes long, seems less chaotic than previous tune yet not so condensed as Rush's next work (2112). It's not so easy to get in that mood but the sloppiness of this one is just an illusion. You have to listen to it with attention then you'll find many interesting moments there. I treat this song like every classic Rush epic suite and it's one of my favourite of their whole catalogue. 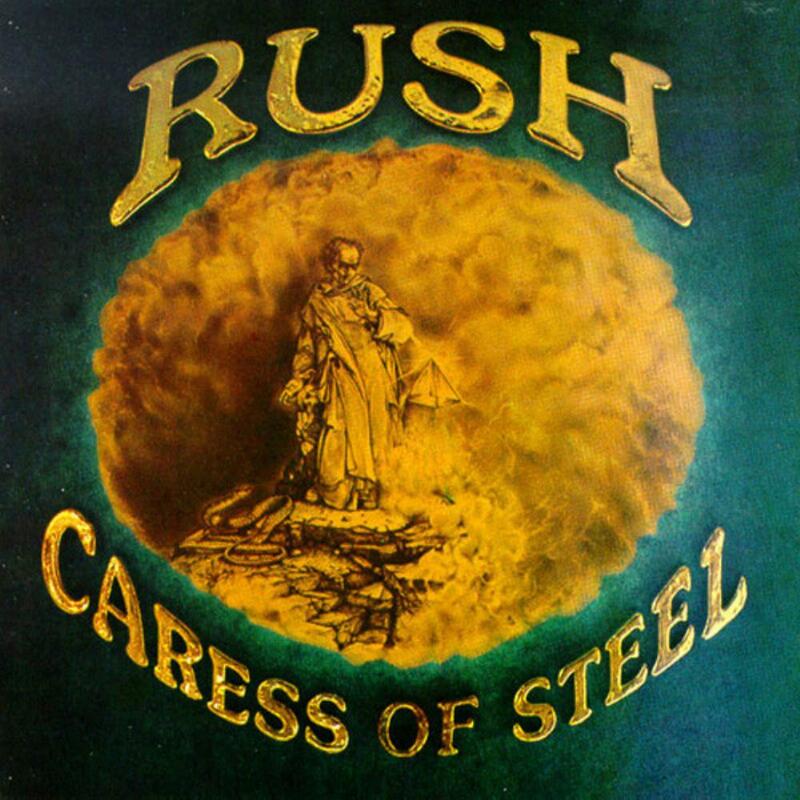 Caress Of Steel is for those Rush fans who enjoy the most their 70's progressive period. If you totally love 2112, AFTK and Hemispheres and want some more, Caress Of Steel is for you, because there are elements that built those fantastic landmark albums. Give CoS a chance.